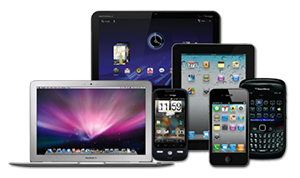 Our courses can be taken from any device you own - guaranteed. Whether you prefer to learn from your phone, tablet or laptop our courses will display properly with no playback issues. Our video player delivers videos via HTML5 by default (which works on all devices), but you can change them to Flash by right-clicking a video and choosing the Flash option (Flash will not work on Apple devices). You can change the video resolution for slower connections by right-clicking a video and choosing the resolution that works best for you. By default our player will detect your internet connection speed and play the videos in the highest quality it can while keeping load times to a minimum.